A full line of barcode scanners and mobile computers is exhibited. CP60’s Transflective display offers both Reflective and Transmissive modes resulting in high light reflectance, for a "bright display", even in direct sunlight. CipherLab USA, a global leader in the design, manufacture, and marketing of Automatic Identification and Data Capture/Collection products and systems, will showcase its latest line of barcode scanners and mobile computers at the NACS SHOW 2013 in Georgia World Congress Center, Atlanta, GA, October 13-15, 2013 booth #3411. CipherLab will have the recently launched CP60 series Mobile Computer on display as well as the coming 9200 series mobile computer. The CP60 is packed with flexible wireless communication options in 4G HSPA+ (AT&T Certified)), 802.11 a/b/g/n (CCX and WiFi Certified), and Bluetooth® V2.1 with EDR. Its embedded GPS/AGPS allows total navigational control. Moreover, CP60 is armed with a 1GHz processor and multiple operating system options in Windows® Embedded Handheld 6.5.3 and Windows® CE 6.0 R3. It comes fully equipped with a large 4 GB flash memory and 512 MB SDRAM, which allows for extended storage of data and software. On top of all that, it provides versatile and accurate data capture with laser reader, long range laser reader, 2D imager and 5 megapixel autofocus camera. Aside from all of its advantages, the rugged design of CP60 with IP65/IP67 is proven to withstand harsh environments. It passes 2.4m drops onto concrete and 2,000 tumbles at 1m ensuring durability. CP60’s Transflective display offers both Reflective and Transmissive modes resulting in high light reflectance, for a "bright display", even in direct sunlight. The CP60 is built with both power and toughness. 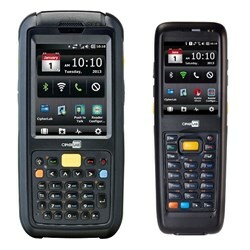 The 9200 series mobile computer is precisely constructed with durability, functionality and flexibility. Being pocket-sized, it’s extremely rugged with IP65 standards and 1.5 m drop onto concrete, which ensures efficiency in harsh conditions. Operating on a 3300mAh battery, 9200 series can utilize its versatile reader options such as linear imager, laser, 2D imager, and RFID throughout the day. It also provides flexible wireless communications in 3.5G HSDPA with GPS/ AGPS, Bluetooth® communication and advanced 802.11 WLAN for extended indoor and outdoor communication needs. Having all these functions in your hands paired with an ergonomic design of a 3 megapixel camera for easy documentation and enhanced keypad for easy data entry truly makes 9200 series mobile device a dependable work of wonder. 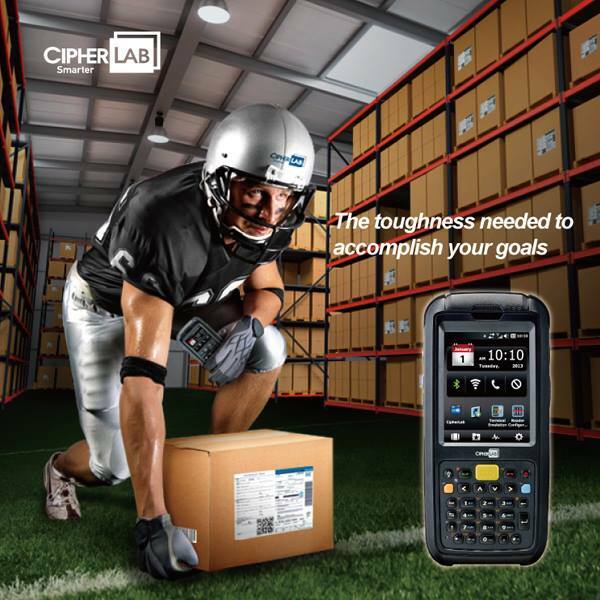 For more details and specifications regarding CipherLab Mobile Computers and Barcode Scanners or request for demo, please send an email to NASales(at)cipherlab(dot)com or contact our office at 888-300-9779 by phone.